functions, for greater cost savings and security. 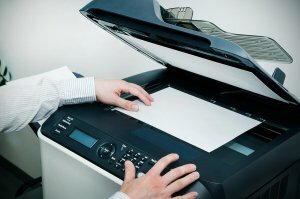 If your company recently purchased a new office printer near Annapolis , you may need to set up a printer network to allow all employees to access printing services. Most office equipment companies provide tech support and printer repair services, and a customer service representative can walk you through the process. If you’re setting up a printer network on your own, watch this helpful tutorial for guidance. The video provides clear, step-by-step instructions on creating a printer network, and allowing all necessary computers to access the network for their printing services. If you’re looking for the best office printer in Annapolis for your company’s high volume printing needs, take a look at Copystar printer products. Their office printer prices are affordable, and their office equipment is high quality. Whether you’re a small company that only needs a small color copier or office printer, or a larger company that wants a combination printer, scanner, and copier, Copystar has the perfect piece of office equipment for you. Copystar offers a wide range of color copiers, office scanners, and office printers. You’re sure to find a piece of office equipment that can handle your company’s high volume printing services. Copystar’s multifunctional office equipment provides printing, scanning, and faxing services. Their color copier guarantees 25 color copies delivered per minute. Their top tier color copier can deliver 70 color copies per minute, and 75 black and white copies per minute. Copystar also manufactures multifunctional black and white office printers, scanners, and copiers. Their basic black and white office copier guarantees 35 copies delivered per minute, while their top tier model can handle 80 copies per minute. If you’re in charge of purchasing office equipment for your company, you may be interested in researching the different types of printers that are now available. As office printer prices near Annapolis continue to drop, the high quality color printers may not be out of your company’s budget. Keep reading for helpful advice on how to choose the best office printer for your company. Some offices are so small that just one office printer will do. Others have so many employees that each department requires a separate office printer to meet its printing needs. If you’re only buying one printer, you’ll probably want to get one that serves multiple purposes. You could buy a combination printer, scanner, and copier, and streamline your office printing and document management services. Combination office equipment also means that you only have to worry about paying for repair services and training employees on one piece of equipment. You may have more money in your office equipment budget than you think. Review the budget with your finance department, and determine exactly how much money you have to spend on a new office printer. If your company has a separate budget for office printing services, you may be able to use some of those funds, as well. Create a list of office printers or combination printers, scanners, and copiers that fall within your budget. Once you have created a list of possible office printers, read online customer reviews for valuable information on the operation, maintenance, quality, and warranty of each printer. If an office printer’s price is high, it should have excellent reviews from customers that justify its high price. You should also determine what, if any, printer repair services are included in the listed price. Most office equipment companies offer product warranties or support services for a certain time period after purchase of an office printer. Your company’s office equipment should be updated every five to seven years to ensure that you’re operating with the most efficient, advanced technology available. 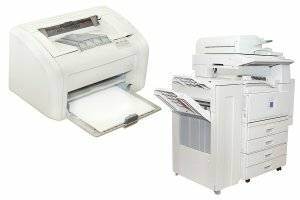 When it comes time to pick out new office equipment in Annapolis , you’ll want to compare the cost and quality of different office printers, office copiers, and office scanners to find the best deal. Here is a helpful guide to selecting the best equipment for your company’s needs. Most offices have a specific yearly budget for office equipment. While you’ll obviously have to work within that budget, you may be able to negotiate some wiggle room with your office manager or accounting department if you can prove that updating the office’s current technology is necessary to the company’s productivity. When you have a finalized budget, compare makes and models of various color printers, color copiers, and office scanners to create a list of possible purchases. You should also consider purchasing a piece of office equipment that fulfills multiple purposes, such as a combination printer, scanner, and copier. If your office only uses copying and printing services occasionally, you don’t need to spend a lot of money on your next piece of office equipment. Conversely, if you work for a business that requires high volume document management services, you’ll want to buy a heavy duty office printer and office copier that can accommodate the heavy workload. If your office rarely uses scanning or faxing services, you probably won’t need to purchase more than one fax machine or office scanner for the company. 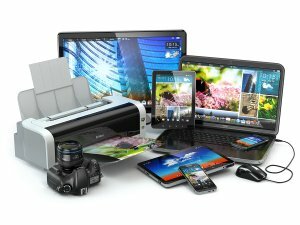 If you’re buying your office equipment from a retailer, find out if they offer a product warranty or tech support package with your purchase. If your company doesn’t have an IT department, you may need to handle tech support services or repair services yourself, and you’ll want the help of a reliable customer support center.